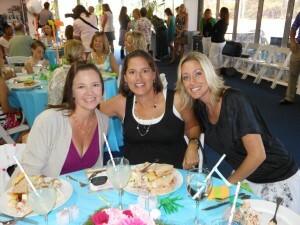 The mothers and their guests enjoyed a catered lunch provided by Zoe’s Kitchen and lots of sweet treats. 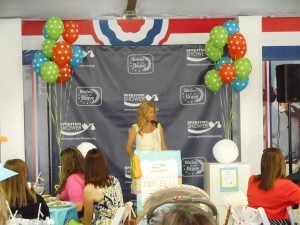 Celebrity guest host Tabitha Furyk provided gift bags for all of the moms with interactive and educational toys. Special guests also included Cheryl McKinley, wife of General Craig McKinley, Chief, National Guard Bureau; PGA TOUR executives’ spouses; and members of the PGA TOUR Wives Association. Operation Shower was held at the Patriots’ Outpost, a private hospitality venue for all active duty, Reserve and retired military personnel and their dependents during THE PLAYERS. Wednesday through Sunday of tournament week, the Patriots’ Outpost is open and offers complimentary food, beverages and activities, giving military members the chance to be treated like a “high roller” at one of the world’s premier sporting events – free of charge. The Outpost, located on the hill between No. 16 and No. 18 fairways, is financially supported by Jacksonville-area companies and individuals.